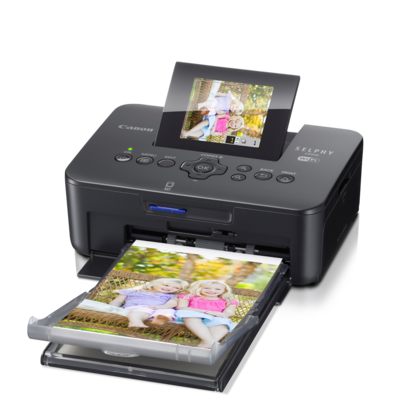 With the SELPHY CP910 Wireless Compact Photo Printer, celebrating your special memories has never been more convenient. Lightweight and compact in size, the SELPHY CP910 is easy to take just about anywhere. But it's more than just portable; it's also loaded with features, like Portrait Image Optimize, which allows you to relive those cherished moments with beautiful and long-lasting borderless 4" x 6" photo prints. What's more, it's AirPrintTM enabled, making wireless printing from your iPhone®, iPad®, or iPod touch® almost effortless. No drivers are needed! 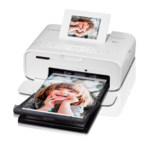 And Mobile Device Printing allows images on compatible iOS, Android and Windows RT devices to be sent directly to the printer as well. Plus, with its new Access Point Mode, the SELPHY CP910 allows you to directly connect your wireless camera or smart device without the need of a network.